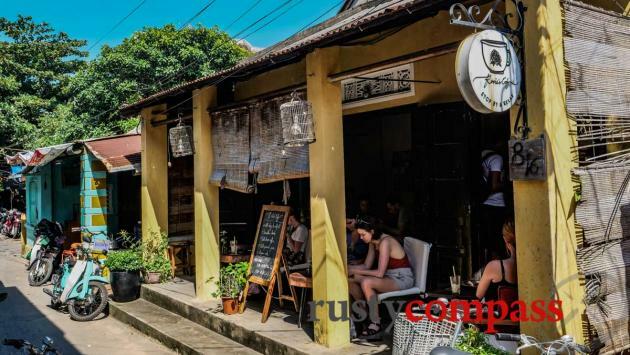 Hoi An's coffee scene has been transformed over the past few years. You won't need to search far for a great cup in a cool space. 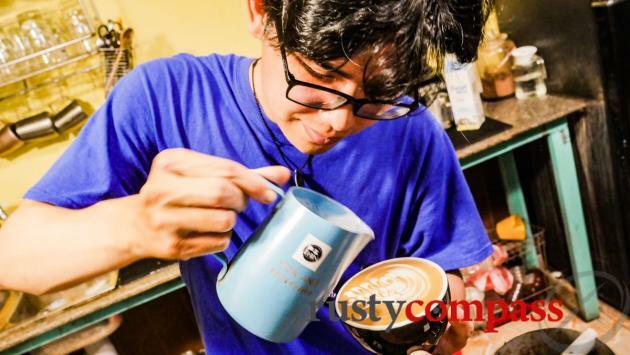 Here are our specialty coffee picks, as well as a few cool places to grab Vietnam-style "phin" coffee. The international espresso-style cafes use Vietnamese beans - you won't need to try anything else. 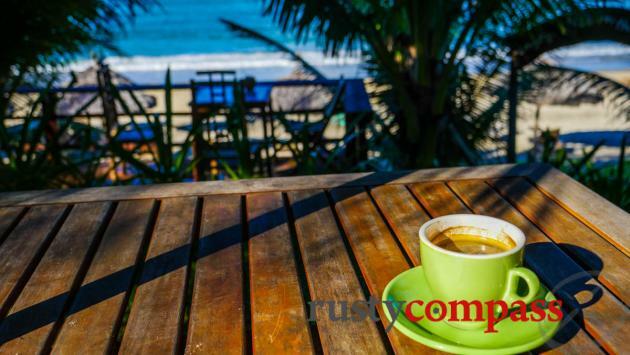 Visit all our recommendations and create a little coffee tour and you'll get a look at Hoi An's old town, its alleys, the beach, and the countryside. All our picks are locally owned and our top picks are plastic free. 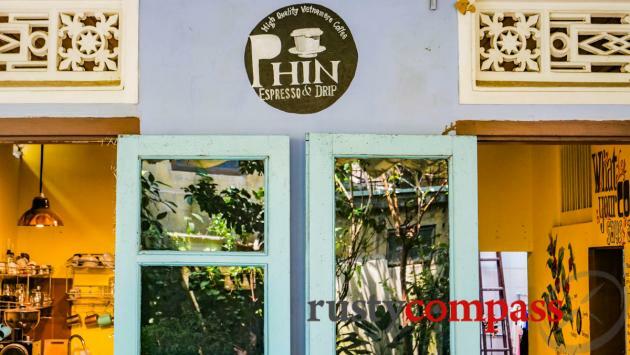 Great coffee, handsome garden space and Phin Espresso and Drip cafe is also plastic free. They keep the complimentary water flowing generously too. 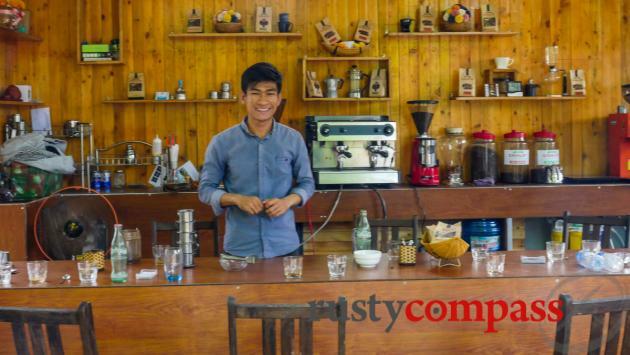 This is a great place to hang out over delicious coffee - roasted on site - whether you’re seeking out the Vietnamese drip stuff, lattes or whatever. Thinh the owner and his team are friendly hosts too. 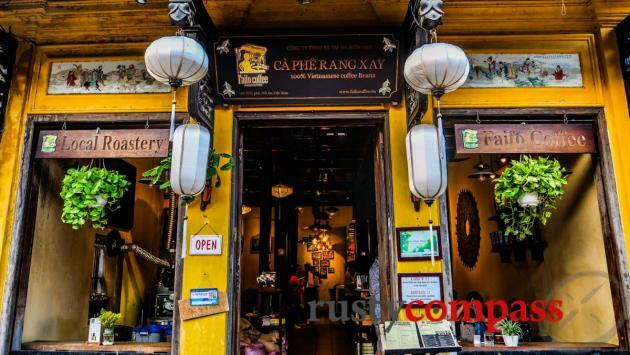 Vietnamese style coffee in a lovely space with good food and friendly staff. Tasty breakfast stop. Located in an alley in the old town. They’re plastic free too! Vietnamese coffee in a retro space - old TVs, cassette players etc. Le Fe Cafeteria has a local feel and English skills vary. The owner’s a lovely bloke who inspired a chronic bout of hair envy (see below). They have occasional live music. Address: 69/3 Phan Chau Trinh, Hoi An - down the alley. Great coffee specialist and the place is a charmer too. 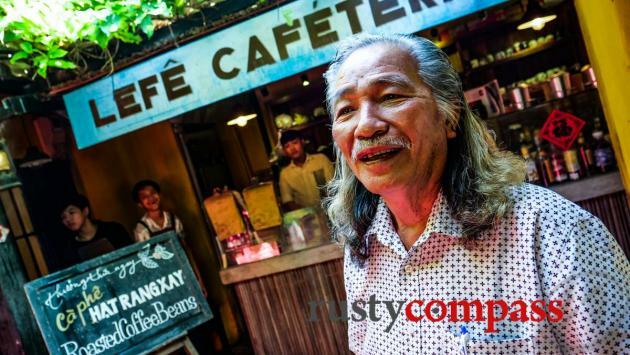 Trung the owner has renovated grandma’s traditional home down an alley and created what must be Hoi An’s cosiest cafe space. 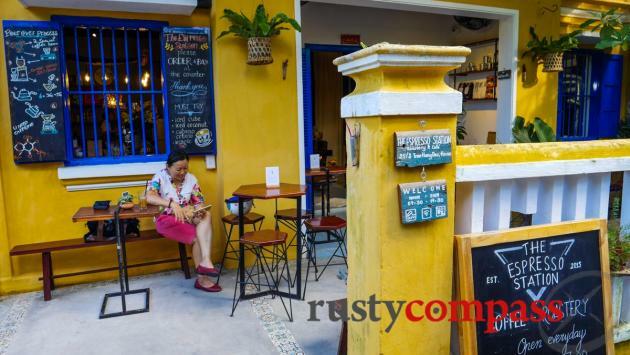 These guys may well have been the first to bring specialty coffee to Hoi An and they continue to enjoy a loyal following of expats and travellers wanting to escape the busier streets of the old town. Great coffee and a basic menu of eats along one of our favourite old town streets. Good coffee in the heart of the old town. The old building is worth checking out too. The views from the rooftop are amazing. Mind the crowds though - especially in busy months. The rooftop may be getting more attention than the coffee. We’re told that Sounds of Silence sources their coffee from the lads at Cavalry. Whatever, it’s damned good. And this is one of the most picturesque places to grab a cup too - looking over An Bang Beach. Sounds of Silence is part of a guest house right on the beach. Address: Nguyen Phan Vinh, An Bang Beach, Hoi An - around 500 metres south of the main An Bang beach action.